The jazzy streets of the Fillmore, long filled with retail shops and a dearth of food options, will soon be home to more restaurants and bars that will offer more options to visitors and community members. The Board of Supervisors repealed the zoning laws late last month that limited the number of commercial restaurants in the area since its enactment in 1987, paving the way for an increase in business. 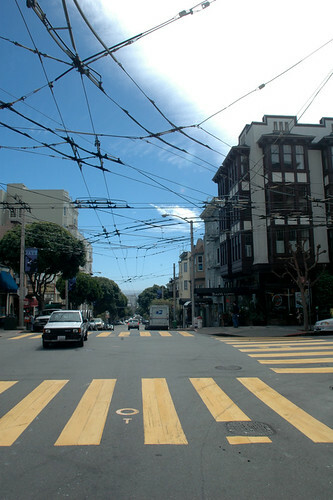 The Upper Fillmore runs north and south along Fillmore Street from Jackson to Bush streets and one block west along California and Pine streets. Some restaurant employees in the area are concerned about new competition, but say that if there are more people visiting and eating in the Fillmore then business shouldn’t be negatively affected. Many residents from the surrounding area are receptive to having more food options. However, Hutchins is concerned that an increase in restaurants could lead to larger crowds and more traffic. The new code change, proposed by District 2 Supervisor Mark Farrell, will accommodate new full-service restaurants, large fast food restaurants, small self-service restaurants or self-service specialty food establishments. But there will be qualifications as to what kinds of restaurants can be opened in the area, according to Rodgers. Rodgers also noted that when applications for new restaurant permits are received by the planning department, hours of operation will be taken into consideration. The primary goal is for active use of businesses during the daytime hours, rather than late-night establishments. The repeal of the restaurant ban comes on the heels of other measures to increase commercial options in an attempt to revitalize neighborhood economies in the Castro and Noe Valley and along Union Street. While the decision has been made by the supervisors, it will be roughly another month before any of these new restaurants will be allowed to open, due to a San Francisco procedure that allows for a public comment period before any legislation is finalized.